Finally, daddy got around to removing the trainer wheels on Sunday. 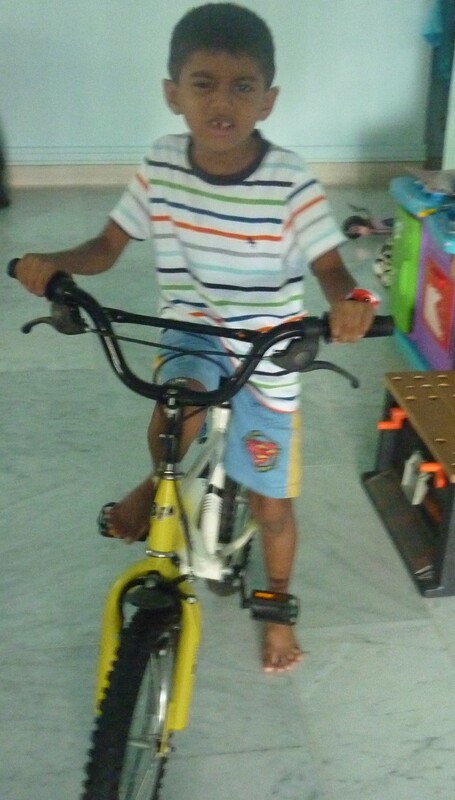 My eager beaver quickly got set for his cycling lesson. Being the usual anxious self, he kept asking if he would fall. 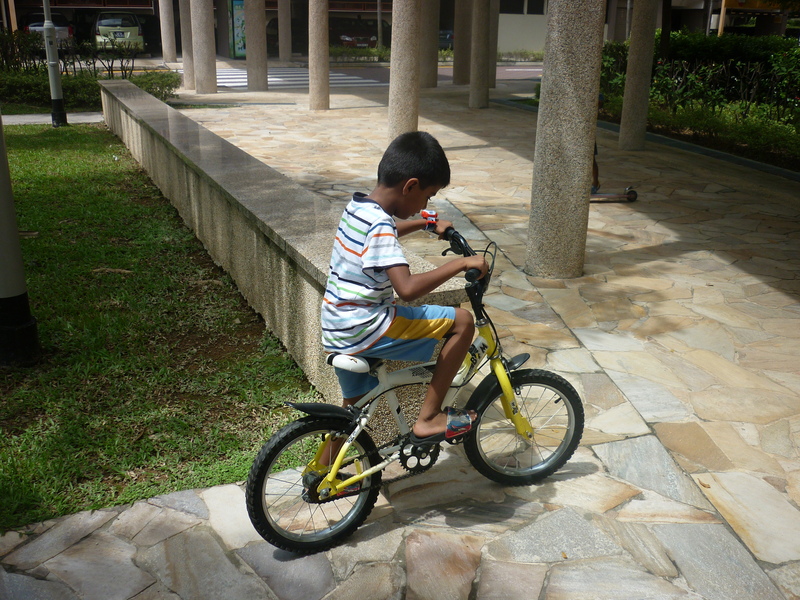 Daddy and I told him that was part of learning and he would soon learn to balance and cycle without any falls. 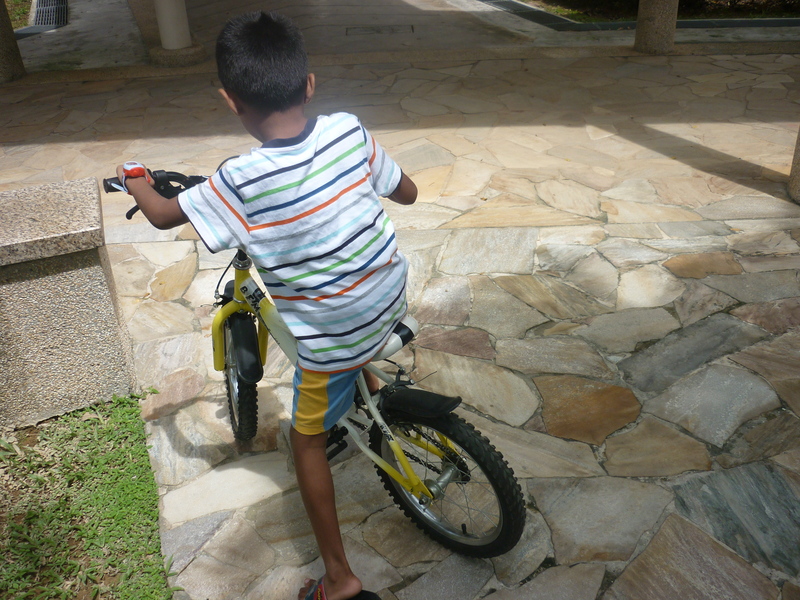 I was cheering and clapping away as I beamed while he slowly but very very steadily rode around on his own! I did not think anyone could learn to cycle without falling (I had, so did Princess- she still does when riding on unfamiliar bicycles). Then again, as a friend had told me, just let them go. Another underestimation of my brood’s learning abilities. 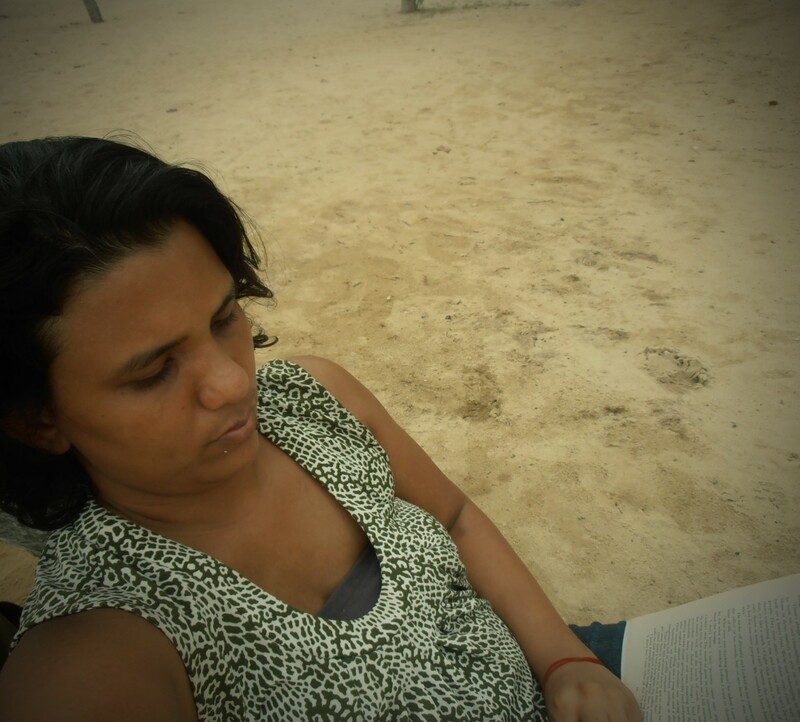 Posted on November 23, 2009 by santhi. This entry was posted in The Brood. Bookmark the permalink. 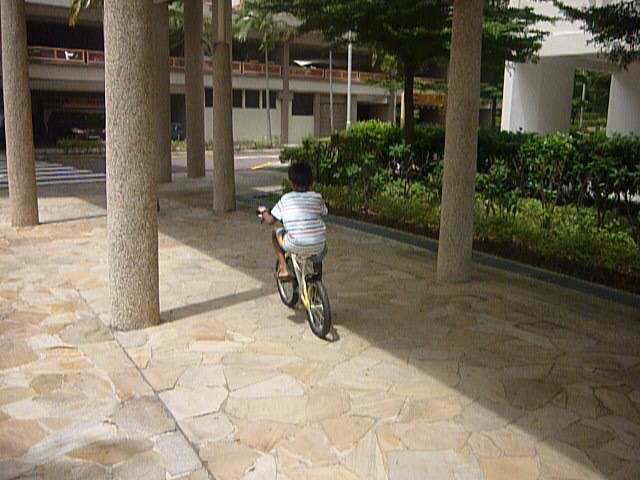 It is not that easy to learn cycling. My dd took about a month to learn how to balance. Initially she was literally riding with her feet on the ground until daddy was so fed up. Somehow, she managed to balance herself and that is it! Try to find a less crowded place and let your boy rides until he is tired! Have fun during the school holidays.